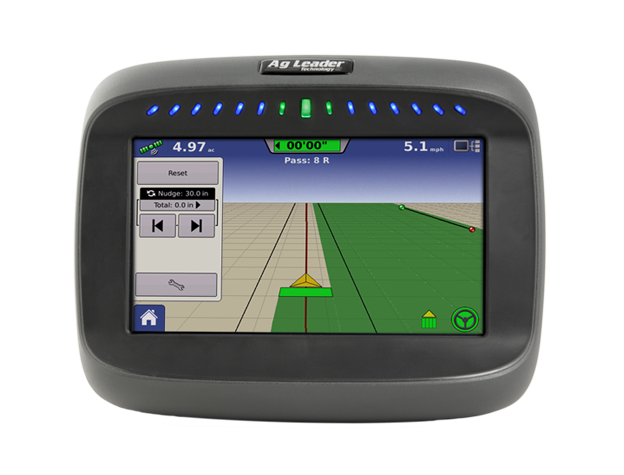 The Ag Leader INTEGRA display is a powerful, full-featured precision farming tool for any operation. 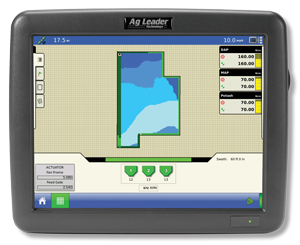 The large, full-color 12.1″ HD touchscreen is easy to read and offers year-round precision farming control. Mapping, planter and application control, yield monitoring, real-time data logging and more – can all be controlled from the cab using the INTEGRA display. The display also features four video camera inputs, providing operators a better view of equipment operation and safety by allowing them to view live video on the display. 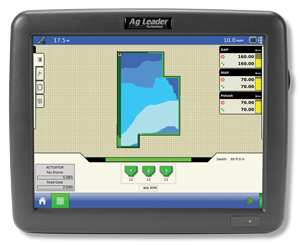 Bottom line: The INTEGRA display can help to reduce input costs and increase yield potential. Loaded with advanced features and user-friendly functionality for year-round precision farming. A few of its standout features include split-screen view and advanced planter control. InCommand syncs directly with your iPad to take maps with you when you leave the field. The same tablet-like interaction you get from InCommand 1200 but in a smaller package. InCommand 800 is a great resource to bring your farm year-round precision and on-the-go decision-making. Growers looking for a simple and affordable precision farming display now have an entry-level solution offering guidance and virtual terminal capabilities.